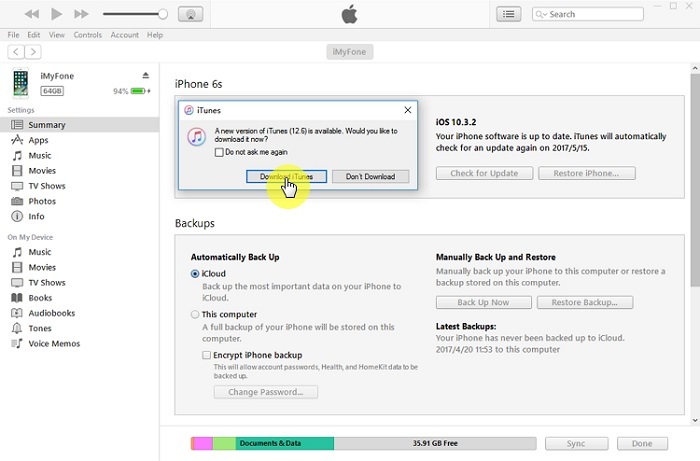 "I recently reset my iPhone 5 running iOS 11 but when I try to restore it from a backup I had created earlier, I keep getting the error "iTunes could not restore the iPhone because not enough space is available on the device." This shouldn't make any sense since the iPhone has been reset, all data deleted. To try and fix the problem I did a backup and reset the device to factory settings. Now I can't even restore the device. Any help on how to get the device set up again?" If you are experiencing this or a similar issue, we are going to attempt a step-by-step fix. Each of the solutions we outline below is designed to diagnose and then ultimately fix the issue. Let's get started. As obvious as it sounds, it may very well be that there isn't enough space on your device, hence the very poignant error message from iTunes. And before you argue with this statement, it may very well be that you are not aware of just how much free space there actually is on your device. Therefore, it makes sense to see if iTunes is telling the truth or not. 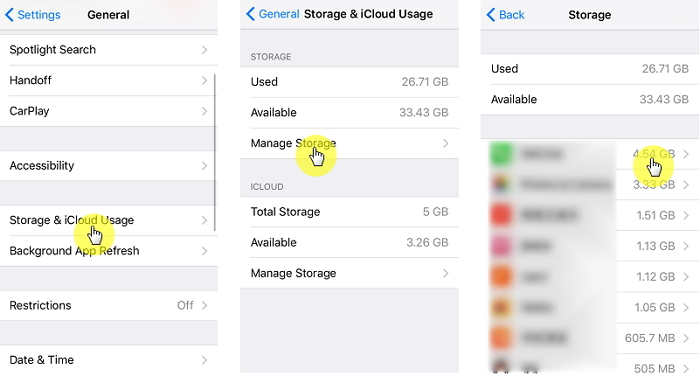 To do this go to Settings > General > Storage & iCloud Usage > Manage Storage and see just how much available space there is on your device. If you find that iTunes is in fact right, you might want to delete some unwanted apps and content to make enough space for the restore process to proceed successfully. If you clear up some iPhone storage space and you still get the same "iTunes could not restore" error message, it is likely that your iTunes is having some problems or that your the iOS version on your iPhone is not the latest. To fix this "iTunes could not restore because not enough free space" issue, you may try updating iTunes and iOS to the newest if they are not up to date, or just by reinstall both of them even if they are the newest. To update iTunes, launch it on your computer and then click on "Help" and then choose "Check for Updates." If there is one available, allow it to update. You can also simply uninstall the version you have and then download the latest version from the Apple website. In some cases, it resolves the "not enough free space to restore" error quickly. 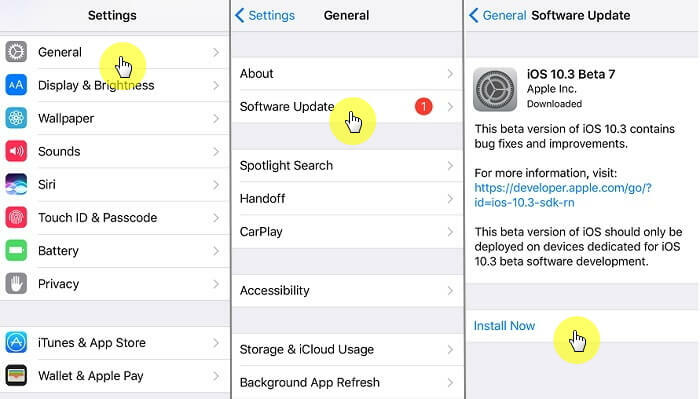 Another trick to troubleshoot this iTune restore error message issue, you may update iOS by plugging in the device to a power source and a Wi-Fi connection and then going to Settings > General > Software update. Tap "Install" if there is an update available and simply wait for the process to be completed. If iTunes and iOS update won't help with the iPhone-space-related iTunes restore failure, try the following methods now. 2. Make sure iTunes on your computer is the latest. 3. Regularly update your Windows OS or macOS. 4. Keep the security software on your computer the newest. For most of you, these steps will set things into motion. However, if still the above remedies fail, we recommend you to disable the security software for an ephemeral i.e. during the upgrade process. In many cases, the above procesures will do the work and solve the iTunes error message issue during restore. But if it fails nonetheless, go to the next method to find an iTunes alternative that has been considered as the best fix for "iTunes could not restore iPhone because not enough space is available on the iPhone" problem. 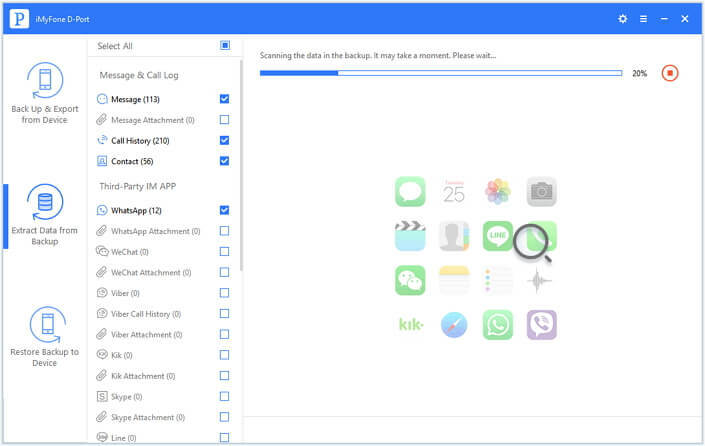 The reason why iPhone has not enough space available to restore on iTunes is mostly because you can only restore all the data of the backup and are not able to choose what to backup or not, or even preivew the backup data. But actually, there are many iTunes alternatives that can realize this. One of them is iMyFone D-Port. You can use iMyFone D-Port to restore data to your device from iTunes. 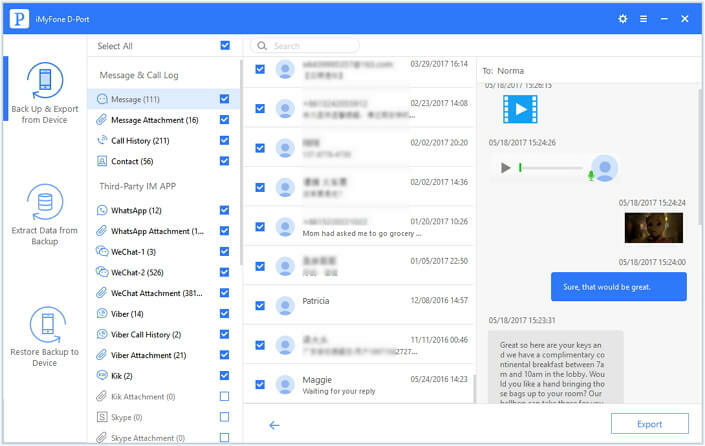 This program will not only allow you to safely get your data back to your device but it also gives you the enviable opportunity to select the type of data you wish to restore from any backup. It is easy to use, runs on both Mac and Windows and works very well to detect iTunes backup files and finally allow you to choose the data to be restored. 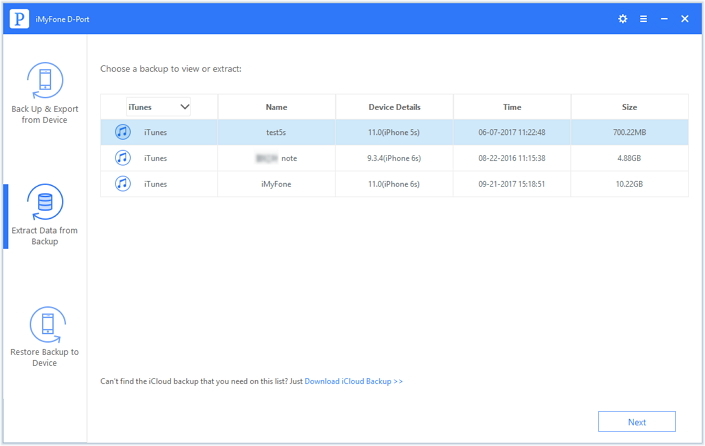 To demonstrate just how easy to use iMyFone D-Port (compatible with iOS 11) is, here's a step by step guide. Step 1: Download and install the program to your computer and then launch it. Step 2: Choose "Extract from iTunes Backup" and click "Start" to begin. Choose the type of data you want to restore to the device from the lost provided. You can select all types if you want. Click "Next." Step 3: Select the relevant iTunes backup file from the ones listed and click "Scan." Step 4: Once the program is done scanning the backup for the selected data type, you should see a list of all the data found. Simply click on an item to preview. Select the ones you need and click "Export." Choose a location on your computer to save the data. You can now just simply transfer the data to your device. Download D-Port to restore data selectively instead of a full restore. It is fully compatible with iOS 11 now. Above are all the methods you can try when you received the message "iTunes could not restore the iPhone because not enough space is available on the device" while restoring iPhone with iTunes. Among them, iMyFone D-Port is the ultimate workaround that can help you bypass this not enough free space issue on iPhone. But first thing first, don't get upset when you meet problems in restoring iPhone, for there is a lot more ways for you to discover.